If you want to lead people somewhere new, you first need to understand where they are. 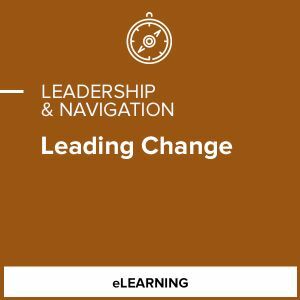 Many change efforts fail because leaders neglect the various emotions related to change and transition. You will learn to help people leave the old ways behind, support them effectively when neither the old ways nor the new work satisfactorily, and prepare them to take the final steps toward solidifying the change. This course will help you set direction, encourage alignment, and gain commitment as you lead your team through the three phases of transition: Endings, Neutral Zone, and New Beginnings.